If you want to be up-close to nature, Plitvice Lakes is one of the best vacation spots in Croatia for an outdoors vacation. 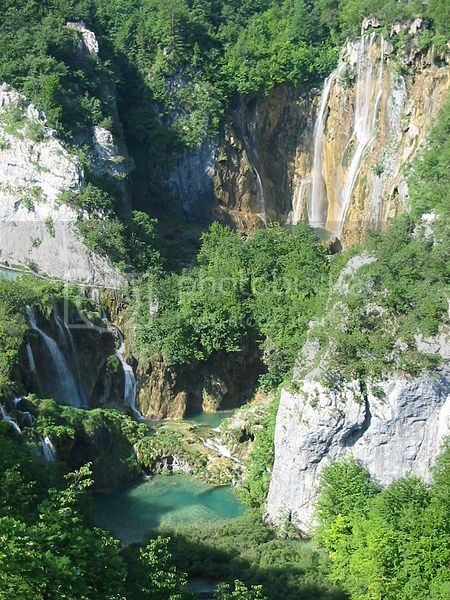 You’ll be able to do lots of wildlife viewing in Plitvice Lakes and marvel at the beautiful waterfalls, and the interesting limestone formations and petrified plants. The park also offers guided nature walks that take you to some of the most breathtaking and panoramic points in Plitvice Lakes. As far as accommodation, Plitvice Lakes is home to a handful of medium-sized hotels and inexpensive inns, as well as bungalow camping at the Korana campgrounds. Dubrovnik is without a doubt, one of the most popular places to visit in Croatia, and it’s certainly one of the best vacation spots in Croatia for a romantic or sightseeing vacation. 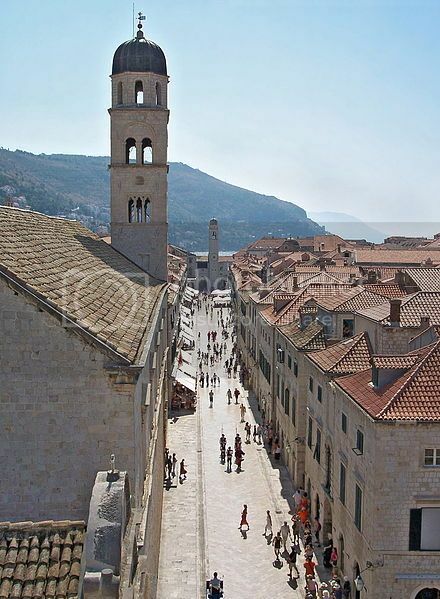 Dubrovnik is truly a romantic place to be, and there are lots to see and do such as walking the beautiful cobblestone streets; and visiting Dubrovnik’s sights such as the Franciscan Monastery, the Rector's Palace Museum and Sponza Palace. Another reason why Dubrovnik is such a great vacation spot is because of the many ferry connections that offer an opportunity for day trips to the nearby beaches in Bari Italy, as well as other Croatian islands such as the Island of Mljet and Korkula Island. Hvar Town is located on the island of Hvar and is without a doubt, one of the best vacation spots in Croatia with a party atmosphere. Hvar Town is one of the best party beaches in Europe as it boasts renowned clubs such as Carpe Diem and Veneranda, so if you’re visiting this summer and are into clubbing you’ll definitely love vacationing in Hvar Town and enjoying the amazing nightlife. Lopar is located on one of the most beautiful Croatian islands and it’s by far one of the best vacation spots in Croatia for a beach vacation. Beaches in Croatia are known to be mostly pebble beaches, but you’ll find in Rab Island nothing but beautiful and stunning sandy beaches such as Paradise Beach in Lopar, which is one of the best beaches in the Mediterranean. Paradise Beach is very popular with families as it boasts shallow waters and many amenities like restaurants and water rentals. If you prefer a quite beach spot in Lopar, (perhaps for a bit of naturism) you can head to either Sahara beach or Ciganka beach, which are popular amongst nudists. Split is one of the largest cities in Croatia and it’s one of the best vacation spots in Croatia for history buffs. 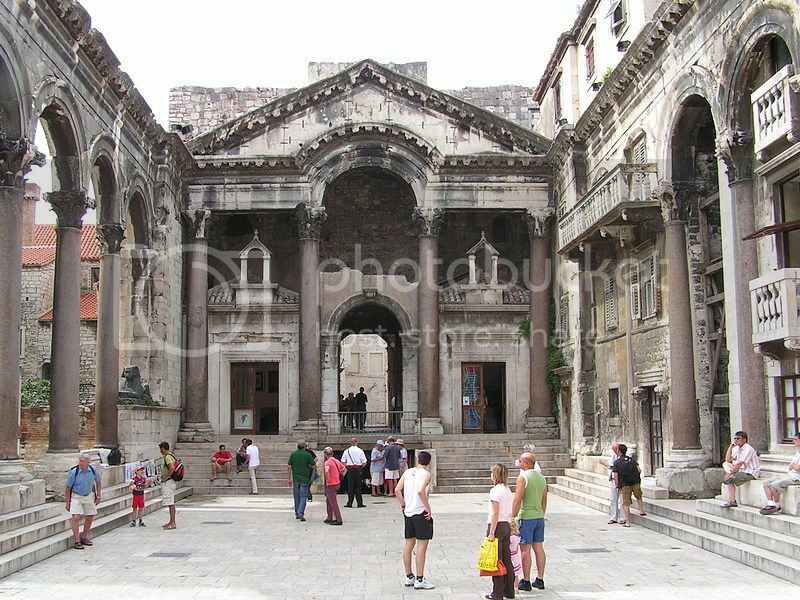 Split is a very walk-able place so you can easily walk Split independently and visit places such as the stunning Diocletian Palace and its mausoleum. If you’re only visiting for the day, you can easily book all kinds of tours (walking, biking and bus tours) to see all the best sights in Split, as well as booking side trips to see roman ruins such as the ancient amphitheatre in Salona. The town of Pula is another popular spot in Croatia that boasts roman ruins, though the main reason Pula has to be one of the best vacation spots in Croatia is its ferry link to Venice (see. places to visit in Venice), which is about 2 hours from Pula on the high-speed catamaran. 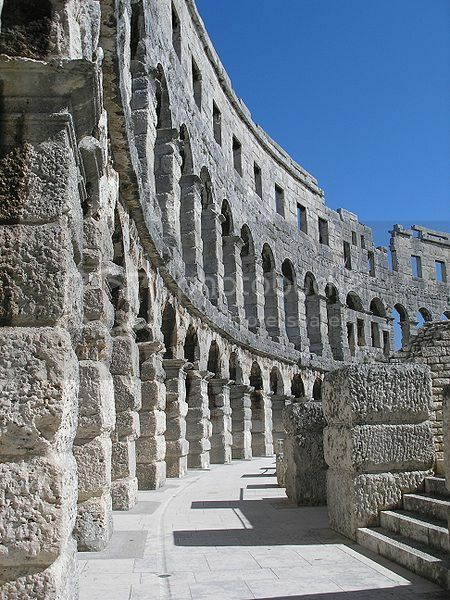 Besides offering a great day trip opportunity to Venice, there is lots of sightseeing you can do in Pula such as visiting the Arch of the Sergii, the Gate of Hercules and “The Arena”, which is the best preserved Roman amphitheater in the world (in better condition than Rome’s Coliseum). Zadar is perhaps one of the most underrated destinations Croatia but if you’re looking for a fun and exciting vacation you won't find a better place than Zadar. You can enjoy the beaches, do plenty of sightseeing in Zadar and visit roman ruins and cathedrals such as St Anastasia’s (built in the 1300’s). A few other reasons why Zadar is one of the best vacation spots in Croatia include the day trips to Pag Island and Dugi Otok where you can sunbathe in the stunning beaches and enjoy diving and snorkeling tours. Zadar is also located within driving distance of Plitvice Lakes and Krka national parks, which is a plus if want to enjoy the outdoors during your vacation.